Light rain (totale 2.0mm), mostly falling Domenica mattina. Very mild (max 10°C Lunedì pomeriggio, min 4°C Venerdì notte). Wind will be generally light. Light rain (totale 6.0mm), mostly falling Mercoledì pomeriggio. Mild temperatures (max 9°C Martedì pomeriggio, min 2°C Martedì notte). Mainly venti freschi. La tabella sopra da le previsioni meteo per Geilo a specifiche altezze 988 m. I nostri sofisticati modelli meteo ci consentono di fornire previsioni neve per la vetta, l'area intermedia e a valle delle stazioni sciistiche di Geilo. Per accedere alle previsioni meteo ad altre altezze, per spostarti usa tab sopra la tabella. Per una visione meteo piu' ampia , controlla la mappa meteo di Norway. 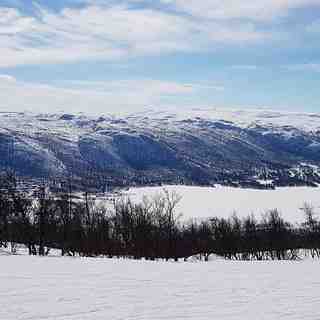 I have skied at Geilo many times with my family. I have been told that Geilo is the oldest downhill ski resort in the world and that Dr Holms is the oldest ski-in ski-out hotel. Fly to Oslo/Bergen and take the train (easy to book online in English); one of the top 10 train journeys in the world. The resort is a brilliant place to learn to ski. The instructors are multilingual and very good with children. 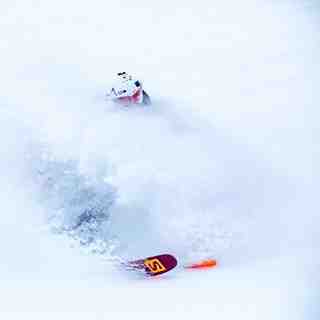 The runs are not challenging for advanced skiers but the cold crisp snow creates a perfect environment to improve technique.